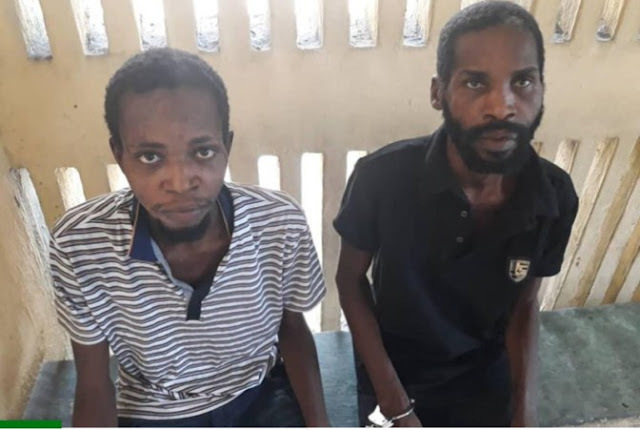 Operatives attached to the Inspector-General of Police Special Intelligence, Response Team, IRT, have arrested two men who admitted to killing three policemen escorting senior workers of Total Oil Nigeria. The suspects disclosed that they killed the policemen and a civilian driver along Woji area of Port-Harcourt, Rivers State. The civilian killed during the attack was later identified as a driver to the vehicle, while the AK-47 rifles in possession of the policemen were all carted away by the suspects.